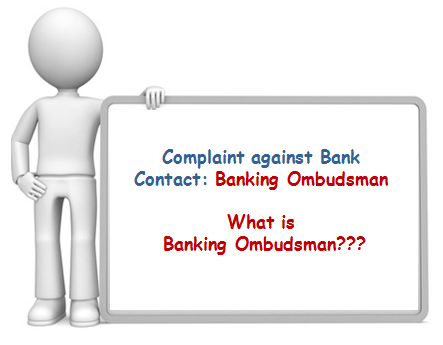 How to approach Banking Ombudsman to resolve your complaints against Bank? In my last post I had discussed about “How Insurance Ombudsman can help you in resolving your complaints against Insurance companies?”, now in this post I am discussing on How Banking Ombudsman can help you in resolving your complaints against Banks. We Indians were originally dealing more with cash and used to keep high amount of cash with us but over the years we are moving from cash economy to Bank Economy. With this changing scenario, importance of banks have been increasing in our lives and they have become important part of our day to day transactions. With the increasing importance of banks we have also been facing many service and legal issues with banks. Many times it has been observed that bank employees have been misguiding the customers, making big commitments to get the business and complete their targets. When we approach the higher authorities of banks with complaints we don’t get any response or get poor response from them. So then whom should we approach to resolve our complaints? Answer is “Banking Ombudsman”. This article is an effort to guide you on “How you can approach Banking Ombudsman to resolve your complaints against banks?” and get it resolved without getting involved in legal issues and without incurring any legal expenses. 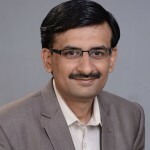 Banking Ombudsmen are the senior officials appointed by the Reserve Bank of India to resolve Complaints against banks in India and settle disputes between banks and consumers. In relationship between bank and consumers, banks are big institutional body, whereas consumers are generally small individuals. So whenever there is any dispute, consumers generally find it difficult to fight against such big institution. 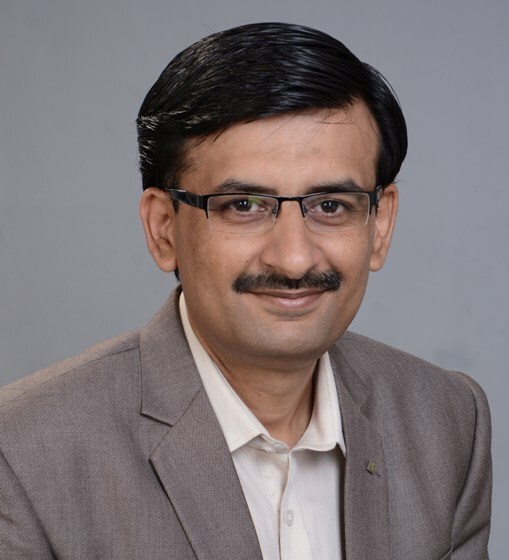 To resolve this difficulty of consumers, Reserve Bank of India has introduced the service of Banking Ombudsmen so that small consumers have not to move to courts and spend money to get solutions of their complaints or resolve their disputes with Banks. How does Banking Ombudsmen work? Reserve Bank of India has currently appointed 15 officials as Banking Ombudsman in different geographical locations of the country. Ombudsmen are given sitting offices in those geographical locations to facilitate smooth disposal of complaints in those locations. The offices of 15 Banking Ombudsmen are located at (1) Ahmedabad (2) Banglore (3) Bhopal (4) Bhubaneshwar (5) Chandigarh (6) Chennai (7) Guwahati (8) Hyderabad (9) Jaipur (10) Kanpur (11) Kolkata (12) Mumbai (13) New Delhi (14) Patna (15) Thiruvananthapuram. Click here for detailed addresses and contact details of Banking Ombudsman. Which complaints can be considered and decided by Banking Ombudsmen? Banking ombudsmen can consider and decide complaints on following matters. (a) Non-payment or inordinate delay in the payment or collection of cheques, drafts, bills etc. (b) Non-acceptance of small denomination notes tendered for any purpose, without any sufficient cause and for charging of commission in respect thereof. (c) Non-acceptance of coins, without sufficient cause and for charging of commission in respect thereof. (d) Non-payment or delay in payment of inward remittances. (e) Failure to issue or delay in issue of drafts, pay orders or bankers’ cheques. (f) Non-adherence to prescribed working hours. (g) Failure to provide or delay in providing a banking facility (other than loans and advances) promised in writing by a bank or its direct selling agents. (h) Delays, non-credit of proceeds to parties’ accounts, non-payment of deposit or non-observance of the Reserve Bank directives related to interest rates on savings account, current account or any other account maintained with bank. (i) Complaints from Non-Resident Indians having accounts in India in relation to their remittances from abroad, deposits and other bank-related matters. (j) Refusal to open deposit accounts without any valid reason for refusal. (k) Levying of charges without adequate prior notice to the customer. (l) Non-adherence by the bank or its subsidiaries to the instructions of Reserve Bank on ATM/Debit card operations or credit card operations. (m) Non-disbursement or delay in disbursement of pension (to the extent the grievance can be attributed to the action on the part of the bank concerned, but not with regard to its employees). (n) Refusal to accept or delay in accepting payment towards taxes, as required by Reserve Bank/Government. (o) Refusal to issue or delay in issuing, or failure to service or delay in servicing or redemption of Government securities. (p) Forced closure of deposit accounts without due notice or without sufficient reason. (q) Refusal to close or delay in closing the accounts. (r) Non-adherence to the fair practices code as adopted by the bank. (s) Non-adherence to the provisions of the Code of Bank’s Commitments to Customers issued by Banking Codes and Standards Board of India and as adopted by the bank. (t) Non-observance of Reserve Bank guidelines on engagement of recovery agents by banks. (u) Any other matter relating to the violation of the directives issued by the Reserve Bank in relation to banking or other services. (a) Non-observance of Reserve Bank Directives on interest rates. (b) Delays in sanction, disbursement or non-observance of prescribed time schedule for disposal of loan applications. (c) Non-acceptance of application for loans without furnishing valid reasons to the applicant. (d) Non-adherence to the provisions of the fair practices code for lenders as adopted by the bank or Code of Bank’s Commitment to Customers, as the case may be. (e) Non-observance of Reserve Bank guidelines on engagement of recovery agents by banks. (f) Non-observance of any other direction or instruction of the Reserve Bank as may be specified by the Reserve Bank for this purpose from time to time. (3) Any other matters which Reserve Bank of India may specify from time to time. The list of complaints that Banking Ombudsman deals with is quite exhaustive and almost covers all the problems that an individual can face with the bank. How to Lodge a complaint with Banking Ombudsman? Step-1 Write to concerned Bank First: if you have any complaints against any bank first step is to submit a written complaint to concerned bank. If written complaint is not made to the bank, you can not directly write to Banking Ombudsman. Please remember oral complaint made to the bank will not be considered as valid complaint so make a complaint in written format. Step-2 Write to Banking Ombudsman: if you don’t receive any answer from the concerned bank within one month from the date, the bank received complaint or answer received is not satisfactory or the complaint is rejected by the bank then in such circumstances the complainant himself or through his authorised representative (other than advocate) file a complaint with Banking ombudsman in whose jurisdictions the branch office of the bank against whom the complaint is given is falling. If the complaint is related to credit card or any such service which, operations of which takes place on centralized basis then the complaint should be filled with banking ombudsman in whose jurisdictions the billing address of customer is located. Time Limit for filling complaint with Banking Ombudsman :The complainant must file the complaint with Banking ombudsman within one year from the date he received revert form the bank or where he has not received any revert from the bank within one year and one month from the date when complaint was given to bank. Format for filling complaint and details required: It is not mandatory to file complaint in any prescribed format but as far as possible the compliant to Banking Ombudsman should be filled in the format prescribed in “Annexure A”. Click here to download the format. The complaint should clearly provide following details. The Name and Address of the complainant. The Name and Address of the branch or office of the bank against which the complaint is made. The detailed facts of the matter for which complaint is filled. The nature and extent of the loss caused to the complainant. The relief expected by the complainant. The complainant shall also submit any other documents, which are relevant while considering the complaint. Complaint through Email is also valid complaint. So one can also make complaint by sending email to Banking Ombudsman and then Banking Ombudsman will take the printout and maintain hard copies of the complaint. Which complaints cannot be addressed by Banking Ombudsman? In following Circumstances complaints cannot be dealt with by the Banking Ombudsman? If the complainant has not filed the complaint with the concerned bank before coming to Banking Ombudsman, the Banking Ombudsman cannot hear such complaint. If the complainant has missed the time limit of filling complaint with the Banking Ombudsman (mentioned in above discussion in Time limit for filling complaint), banking ombudsman cannot hear such complaint. If the complaint pertains to a cause of action which was settled or dealt with by the Banking Ombudsman earlier in any previous proceedings whether or not received from the same complainant or along with any other complainants. Where the complaint is lying for hearing before any other court, tribunal, forum or arbitrator. The complaint is made after expiry of time limit prescribed in The Indian Limitation Act, 1963. The complaint seems frivolous or vexatious in nature. How the complaints are settled by the Banking Ombudsman? On receipt of complaint, Banking Ombudsman looks into the facts of the complaint. After looking at the fact, Banking ombudsman first tries to promote settlement of the complaint by agreement between complainant and the Bank on common grounds. If the complaint is not settled by the agreement within one month of receipt of complaint by Banking Ombudsman. Banking Ombudsman will settle the complaint either by passing reasonable award which he thinks fit or by rejecting the complaint if he thinks so. Before passing such award or rejecting complaint, he will give reasonable opportunity of hearing to both the parties. Maximum amount of Rs. 10 Lakhs, Whichever is lower. This means that Banking ombudsman cannot pass an award more than 10 Lakhs. Where the complaints are related to operations of credit card, Banking Ombudsman can pass an award upto 1 Lakh only. The letter stating details of award is sent to Bank as well as complainant. On receipt of such letter award, the complainant has to send letter of acceptance of award as full and final settlement to the concerned Bank within 30 days of receipt of such letter. If the complainant fails to send such letter in prescribed time than the award gets lapsed in such circumstances. (b) The award asked for is above the limit of Rs. 1 Lakhs in the matters related to credit cards or above the limit of Rs, 10 Lakhs in other matters. (c) Required details and documents are not provided by the complainant. (d) Complaint is made without any sufficient cause or it is not pursued with due diligence. (e) Banking ombudsman is of the opinion that complainant has not incurred any loss or suffered any inconvenience. If complainant or Bank are not satisfied with the award passed by the Banking Ombudsman, they can move the matter to appellate authority, within a period of 30 days from the date of receipt of such letter of award or rejection from Banking Ombudsman. In case of Bank this period of 30 days will be calculated from the date of receipt of letter of acceptance by the complainant. Appellate authority may allow to file the complaint even after 30 days period if he is satisfied that there is sufficient cause for the delay. The maximum further period for filling complaint that can be allowed is 30 days. Conclusion : To conclude with, RBI has introduced “The Banking Ombudsman Scheme 2006“, to make it easier, simpler and cheaper for the Banking Consumers to raise their issues against banks. Most of the issues get resolved at Banking Ombudsman level and you don’t have to go the and consumer forums or consumer court. Consumer Courts or Forums are time consuming, expensive and complicated. « How to fight denied Insurance Claims with the help of Insurance Ombudsman?